New day trading stocks courses available for download: If you’re looking to learn how to day trade, you can now download our free day trading courses for free! Please scroll down the page to access our trading courses and view more about what is day trading. The following courses were previously for sale for $49.95. However, under new ownership we have decided to give these courses away for free. Please enjoy and don’t forget to share them! Our latest concept for short term trading. This May be Our Best Webinar Yet.. Download Now! A 3 hour recorded event. Our latest concept for short term trading. HFT – What we are up against. How does if differ from traditional Swing Trading? What do we look for (setups)? A 3 hour recorded event.Short Term / Swing Trading Tactics for Online Traders. • What is Short-Term Trading (Time Frames)? • Do not Average Down! The Replay is Now Available for Instant Download. Purchase and download the video file immdediately! *Determine what is Strong and Weak. *Stocks showing Strength or Weakness relative to their Peers and Market. Important After Paypal checkout you must hit return to merchant button for the link to the webinar. 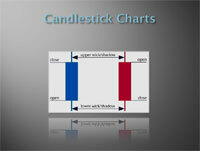  To help in the understanding of the tools, indicators, styles, and strategies.  Examples of Relative Strength and how to use that information.  Range Bound market action prediction based on history.  How to use ETF to your advantage. Topics will be determined by the audience. Day trading is buying and selling assets, securities, or another financial instrument within the same day. You can even buy and sell the same instrument several times in the same day. 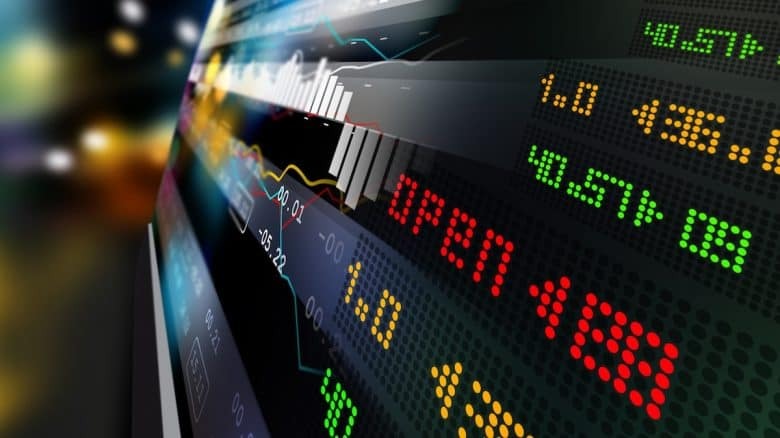 It occurs more often in markets with high volatility and liquidity such as foreign exchange and stocks, but it can take place in any marketplace. It could be a lucrative business, but it has a lot of risks so you should do it properly and after knowing the rules of day trading. Thought it is not for everyone; every trader should try day trading at least one time. The adrenalin and emotions inherent to this practice is something that will teach you how deal with your psychology. Take it as a school. Is day trading for beginners? Yes, but it should be done properly and with responsibility. 2 What is Day Trading? 6 How much money can I make from Day Trading? 6.1 How much is the value of a pip? 8.3 What is the best strategy for day trading? 8.4 Is Day Trading Legal in the US? 9 So, is day trading good for me? Forex is the perfect ecosystem for day traders as it provides high volatility. 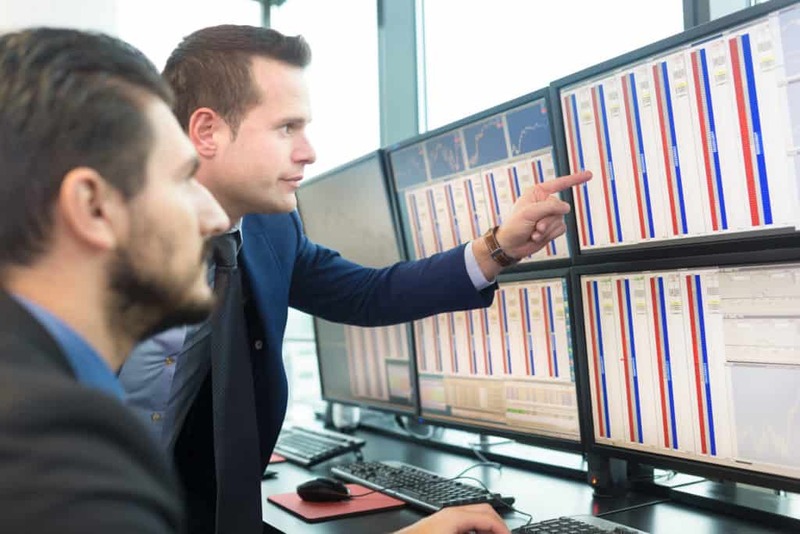 One of the most common day trading strategies is scalping, where a trader opens and closes positions for small profits based on minimal price changes. Remember that forex is a risky game. It follows every possible bit of news that can move the currency of a country. Check everything that can affect the value of a currency. Follow information for both sides of the ticket, not only one. As the stock market is a well-liquid market, it is a good ecosystem for day trading. The best way to pick assets to buy and sell is to follow company news and fundamental factors. 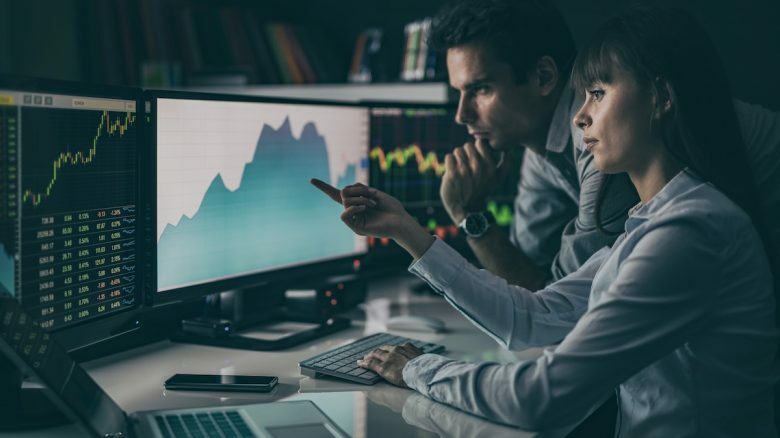 Earnings reports are a source of volatility, so a day trader may want to follow the earnings season to identify trading opportunities. Also, fundamental factors like political statements, guidance speeches, or breaking news can affect stocks. In markets with high volatility such as the cryptocurrency exchange, the day trading, or intraday trading is a good option. Cryptocurrency is one of the markets that two opposite ideas can work correctly. If you do believe in cryptos as the currency of the future, you can buy bitcoins in a very long term. It will rise. Commodities are a good source of day trading opportunities as volatility is well enough, but the size of movements are right too. Gold and Oil are perfect matches for intra-day positions. In order to do day trading with commodities, you may want to track the US Dollar and the levels of risk appetite. Also, rebalancing positions before daily closing. So, do you want to start day trading? Okay, the first step to day trade is to learn how to play it right and to discover what is the best strategy and characteristics that suits with you. Here, the best option is to open a demo account in a reliable broker that will allow you to apply all acquired knowledge into real accounts. Let’s take eToro as the sample. Social trading exchange platform eToro is one of the most competitive brokers around the world. He has a presence in 170 countries, and it is covered under regulation by MiFID, the NFA, FCA, and the CySEC. Okay, let’s do it. 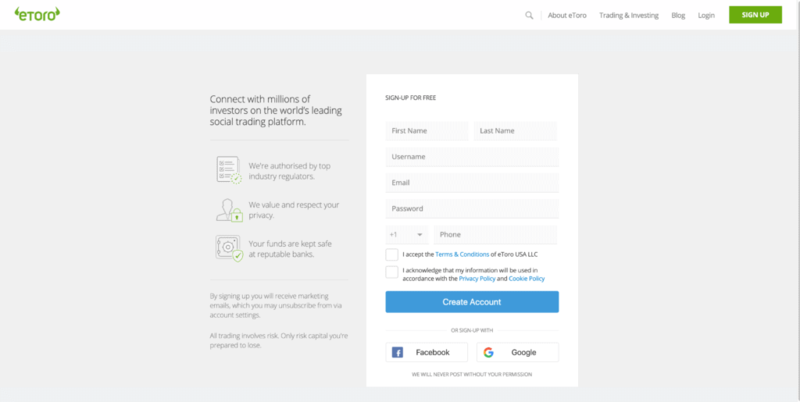 Once you have filled out the registration form and your account has been created, please go into the platform and follow the quick guide eToro developed for you. Select the demo account and start your trading. Day trading can be implemented in different markets, eToro support trading for cryptocurrencies, stocks, and commodities. Second, select the market you want to work. It is not about how much you can do it in a market, but which market is more comfortable for you. At the end of the day you will consistently make more money in a market that suits you. Not vice versa. Third, read all the news related to that specific market. In this way, you will discover what’s going on with the assets you are studying. Identify news, effects, and reactions of the press as well as economic events in charts. Fourth, pick the asset you want to trade and select the position size. Then, buy or sell it, and wait. Fifth, remember to stay in your plan. You don’t want your emotions to make decisions for you. So, let your position works. Close your position at the right time and enjoy your money. 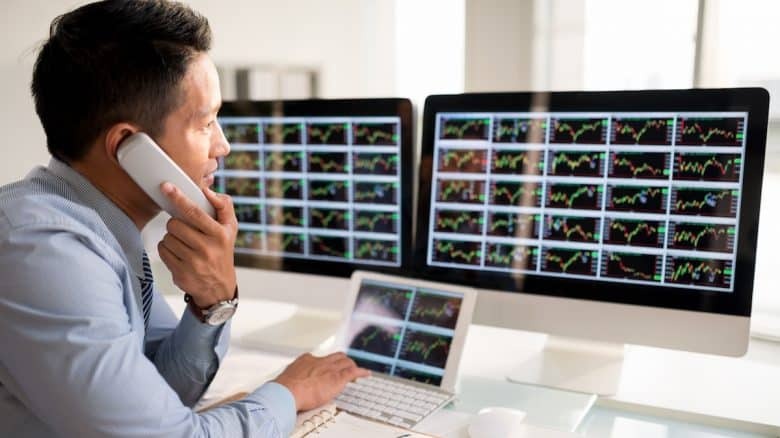 Many popular online brokers such as Ameritrade, Fidelity, eToro, Markets.com have advanced platforms to provide you with all the tools for a successful day trading. However, as not all the positions are the same, not all the brokers are the same. Let’s briefly review five platforms that offer you the possibility to day trade. One of the most popular and well-regulated brokers for day trading for beginners is eToro — a super easy to use platform that provides you with technical tools and fundamental news. To access the platform, first, click on the “Join now” button and complete the registration form. Check your email for a confirmation message and then, go to the platform. Once you are inside the platform, check all the features, news and technical studies that will help you with your day trading strategies. If you are learning how to day trade, one interesting idea is to watch other traders do. 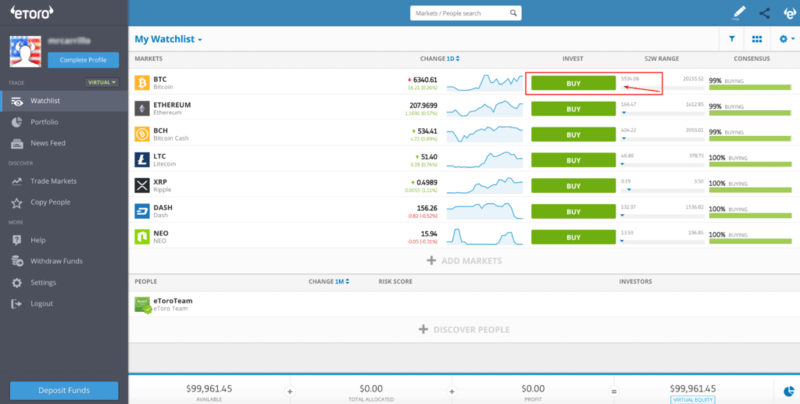 eToro is a social trading platform because it allows you to view and follow others’ trades. You can even copy them. With over 5 million registered accounts, 13 million traders placed and 185 billion traded value in the last year, Markets.com is an interesting possibility that offers demo and real accounts. To open an account with Markets.com, you should click on the start trading button and then fill out all the information needed in the next page. Once you have your account created, please go to the platform and join the community. The first thing to understand the platform is to practice with a demo account. 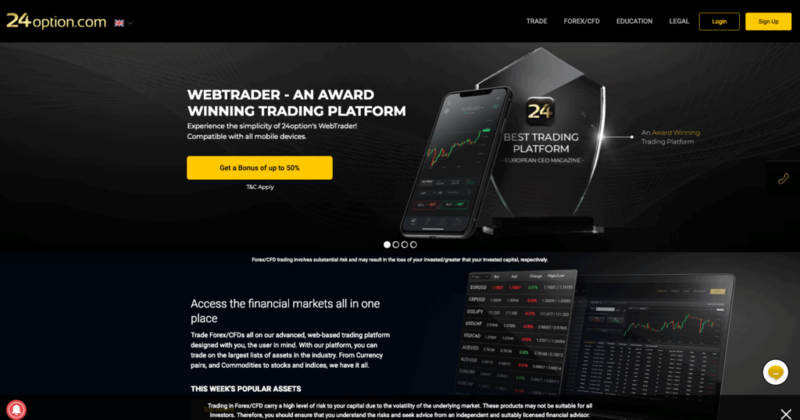 24option.com is an intuitive trading platform focused on newly traders. They provide educational tools and a library of seminars, webinars, and daily news. 24option.com is a company of Richfield Capital Limited, a Belize investment firm which operates under the Belize regulation. To access to a new account with 24option.com, select the signup button at the top right of the website and complete the application form. As an options platform, it allows you to use binary options. Once you are inside the platform, just follow the buttons, including deposits to fund your account. The minimum deposit is $250 or 250€. 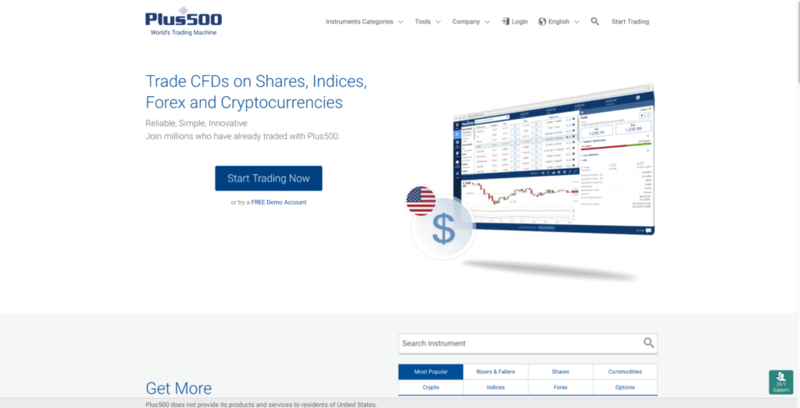 Plus500isa CDFs focused reliable, innovative and straightforward trading ecosystem. 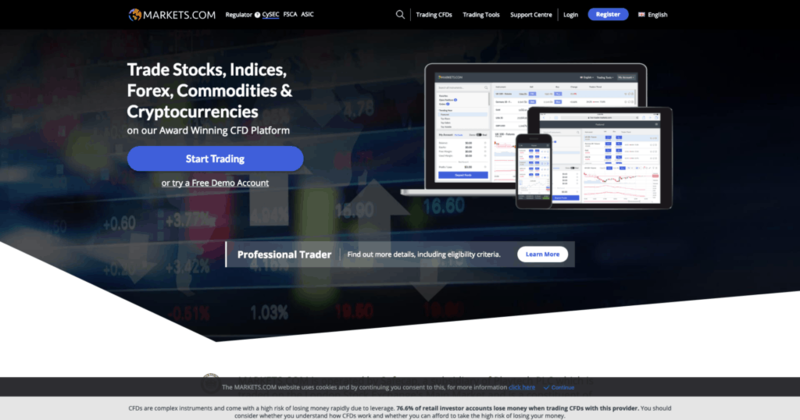 You will be able to trade stocks, forex, and cryptocurrencies with them. London-based firm charges no commissions but spread differentials, offers guaranteed stops, and have an offering on cannabis stocks. To open an account click on the “Start Trading Now” button, and fill out the registration form. After getting inside the platform, follow the welcome tour and identify all the features Plus500 is offering. Ally invest offers an intuitive trading experience with one of the lowest trading fees in the industry. 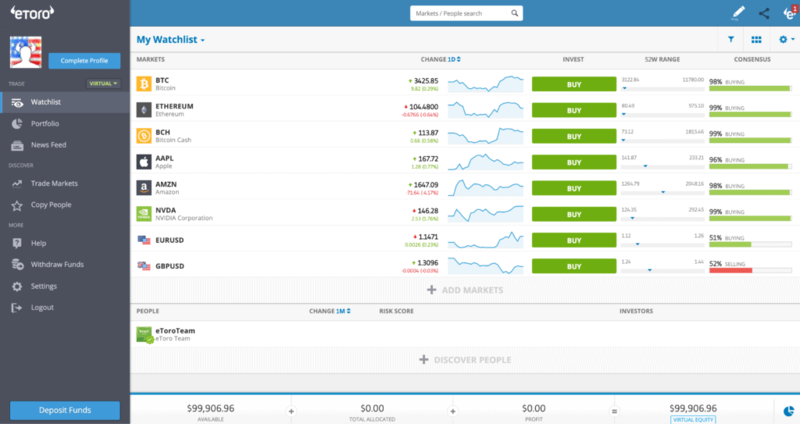 The platform supports stocks, ETFs, options, bonds, and mutual funds trading. However, they don’t offer cryptocurrency trading. 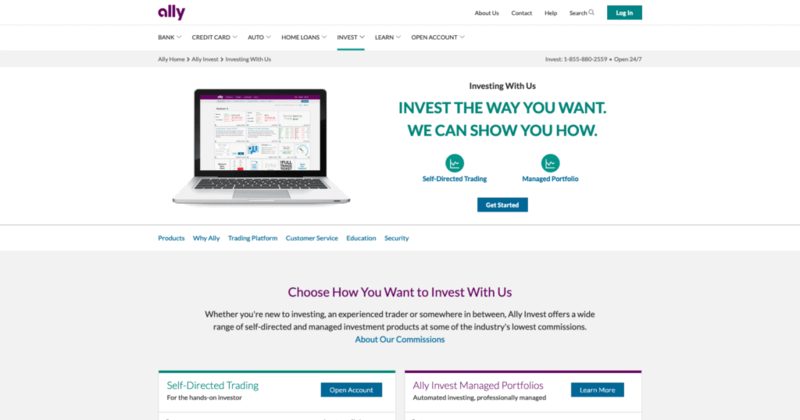 To start trading with Ally Invest click on the Open Account button. Follow the instruction and fill out the registration form. You need your social security number, address and proof of identity. How much money can I make from Day Trading? 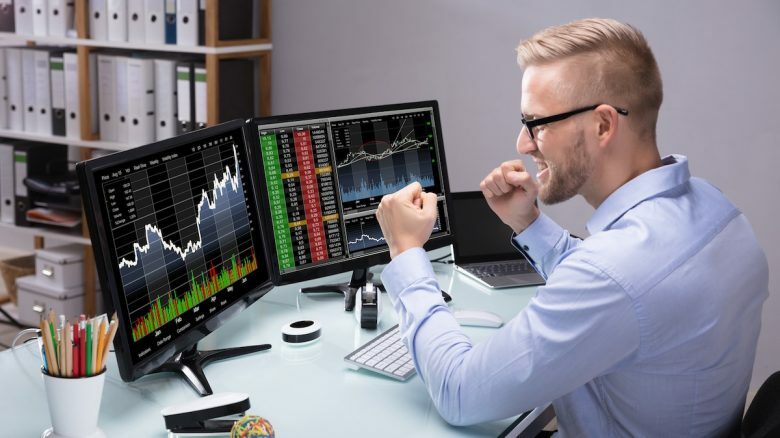 It is not about how much money you can make from day trading but how many pips you can produce while developing day trading and intra-day strategies. So, don’t count the money you do, but the pips you make. “You never count your money when you’re sitting at the table,” as Kenny Rogers sings. Anyway, if you want to know how much money you can make as a day trader, it will depend on the capital you are willing to invest. How much is the value of a pip? If you start your trading with $1,000, your profit in terms of dollars will be significantly lower than one person who begins trading with $100,000. So, your best option is to account profits in pips; then you can scale it into a more significant portfolio in a proper manner. Always build your portfolio step by step. One exciting target a day trader may have is to establish a number of pips to be made daily. Let’s say: 20 pips every day. Maybe it doesn’t sound great at the beginning, but at the end of the day, you will be mastering the 20-daily pips strategy. It would be 400 pips monthly. Make numbers: it could be 1 dollar per pip or 1,000 dollars per pip. Day trading: Day trading or intra-day trading is the simple act of opening and closing the same position in less than a day. It could be the same instrument traded several times in the same day. The day trader: A day trader is a person who invests in markets, opens and closes positions in a day. 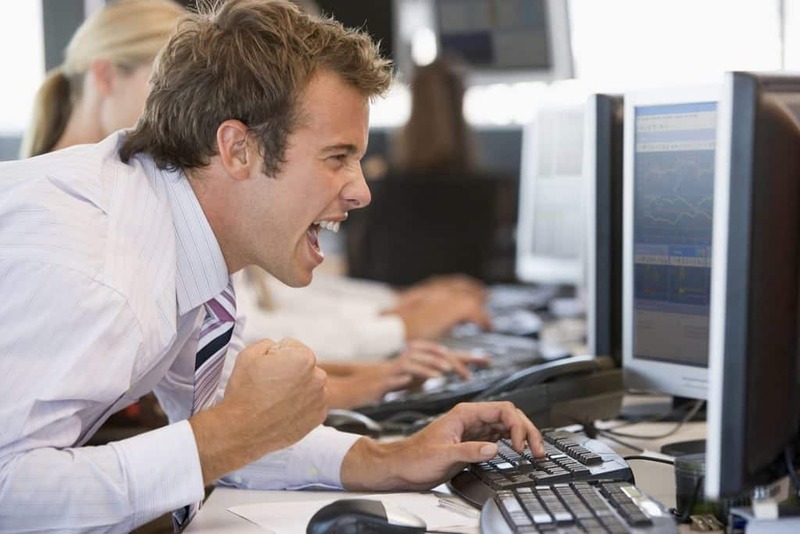 To be considered as a day trader, you should trade daily in front of your trading station. 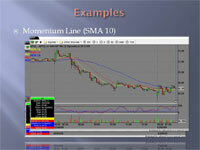 Market session: Market sessions or stock market hours are the time when a particular market is open. Let’s say from 9:30 am to 4:00 pm in the United States. There are also three major sessions: the Asian, the European and the American sessions. Pips: A pip is the minimum measure of change in an investing instrument. For EUR/USD, for example, a pip would be the last number of the ticket: 1.1503. So a pip is the number three of the ticket. Fundamental news: All news related to structural factors like political statements, economic releases, social trends, etc. that can affect the price of an instrument. Technical event: In the investing market, a technical event is a moment when the price of an instrument reaches a tipping point or a specific rate in the chart that is sensitive for the instrument. Stop loss: An order placed to protect your investments and to cut your losses. It works when you have a position, and the market goes against it, then you set a price where your position is closed. Resistance and support: Resistance and supports are levels where the market has shown interest to sell, in case of resistance, or to buy, in case of support, and act as strong lines to be broken by the instrument. Profit and loss ratio: It is a measure that anticipates, or act as a summary, your potential gains, and losses. It is based on how many pips do you make or loss. 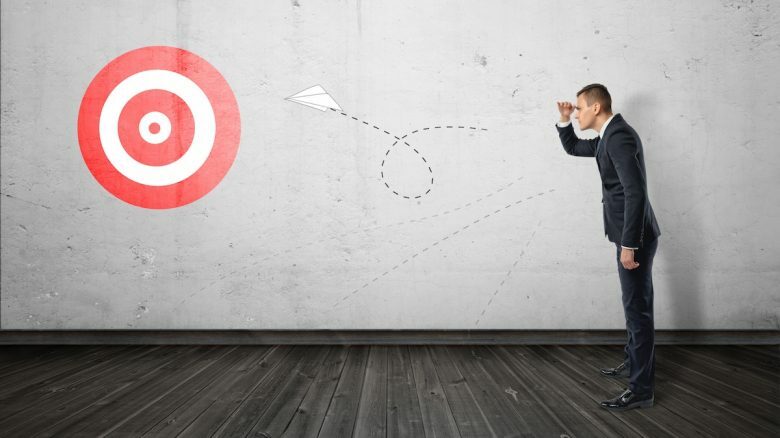 Price target: It is the level you are expecting the instrument will reach and it is the base of your strategy. It will define your risk and your potential gain. As a trader, you never stop learning. Markets change every day, so you should keep improving yourself. Stick to your trading plan: Follow your analysts and keep your plan, don’t let your emotions decide for yourself. The trading plan is the cornerstone of investing. Account your emotions: Always take in count your emotions and how are your feelings in any situation. It will help you to take better trading decisions. Keep updated: As a doctor who always should study for the best way to make a treatment, a trader should improve himself to adapt better to any possible market change. Read: Know about professional traders and investors. Discover their strategies and know their stories. You can learn from the success of others. Keep your eyes open: While you are walking in the shopping center, or the street, keep observing what’s going on with people and brands. Your market research starts with you. Read more tips for beginners to become successful day traders and what are the best practices in day trading below. Every professional trader should have a trading plan for every single trade. You should always know why you’re getting into a position, where you hope to get out and where you’re going to puke if it all goes wrong. This kind of discipline and strict risk management is going to stick with you for your entire trading career. Your discipline and mindset stands to you and will ultimately be what separates you from unsuccessful traders who don’t have trading plans. Many traders fail because they don’t know why they’re getting into positions and where they’re going to puke if they’re losing money. One of the most important day trading lessons is to let winners run, while cutting off losers. Unsuccessful traders usually do the opposite which will wipe out their trading account. Planning your trades and trading your plan is crucial for success. However, another great habit to get into from when you start trading stocks is being able to analyze your own trading style and performance. Every trader is going through periods of good performance and bad performance. 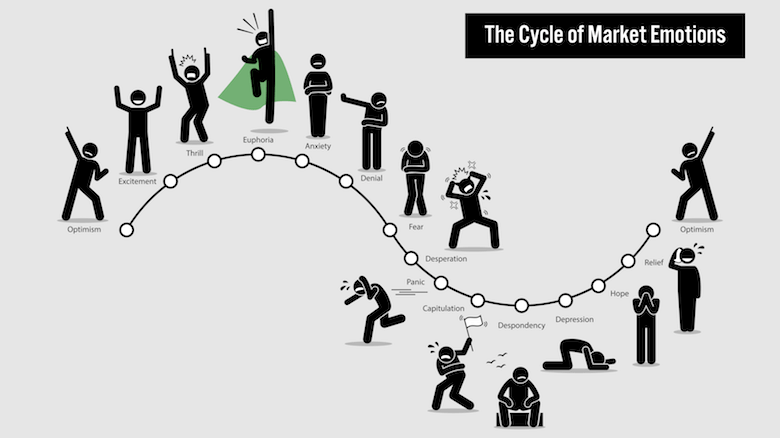 You got to know where you are in that cycle. 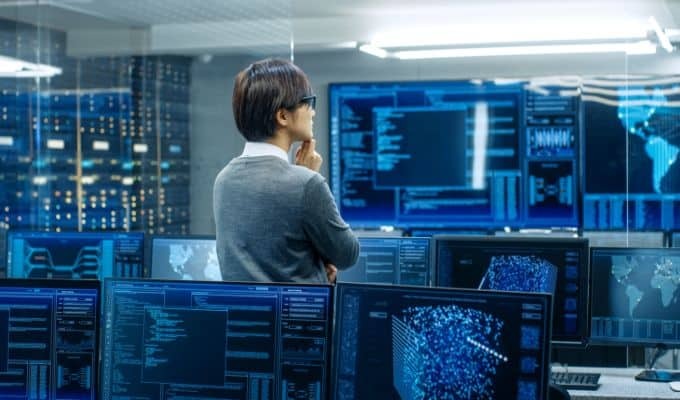 Being able to analyze your own trades and seeing when your performance is slipping will allow you to adjust your trading strategy accordingly. You can lower your position size and take some risk off the table. Vice versa, when you see that you’re trading well, you’ll be able to increase the position size, add some risk and really push on when it comes to your P&L. You can check out our other article on trade analysis for a more in-depth look at how to track and analyze your trading on a spreadsheet. Let’s get on with the next one of our day trading tips. It’s worth doing this on a daily or weekly basis and it ties in with being able to analyze your own trading and spotting your performance when it starts to shift. When it comes to your emotions, trading psychology and your headspace, you got to know if something external is affecting your mindset. If you lost money over the previous couple of days or weeks, it’s possible that you’re dealing with stuff that is negatively affecting your trading results. It could be the case that rent is past due or that you have hospital bills stacking up. Outside pressure from external factors and sources like these are forcing to chase everything or forcing to hold your losers with bigger-size. On the flip side you also want to be able to see the correlation that exercise and healthy eating has with strong performance via a strong positive mindset. If you do find yourself on a bad run, it’s worth keeping in mind point number four. If you’re having a bad run and if your trading performance suffers, take a step back from the screens for a couple of weeks. A break from day trading can often have a very positive impact on your future performance. It helps you to see the bigger picture and to be totally removed from the financial markets for a while. You can then go back to the trading desk with a fresh look, without being biased based on recent action. Your trading psychology is going to be improved as well as you’ll have a much healthier and a much more positive mindset. You’ve broken the bad influence that negative markets and negative performance has had on your mindset during those weeks. 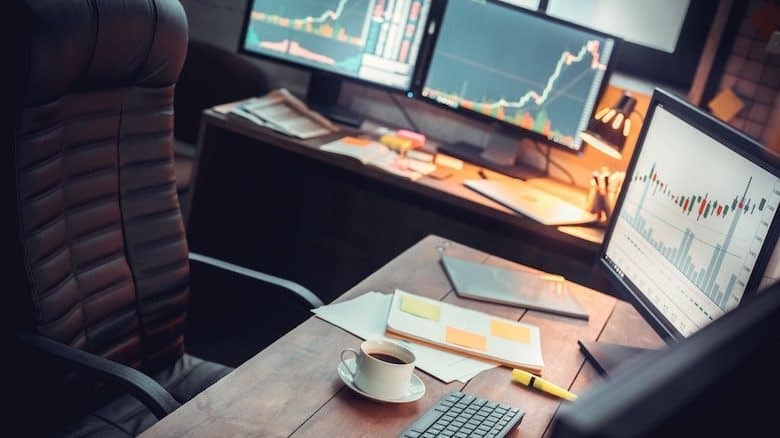 Being able to get flat, close the screens and step away from trading is a very important trading tip for those of you that are going to be struggling and going through bad periods. This is one of the day trading tips that is going to be essential to your long-term success as a trader. Always be researching new trades, new markets and new trading strategies. 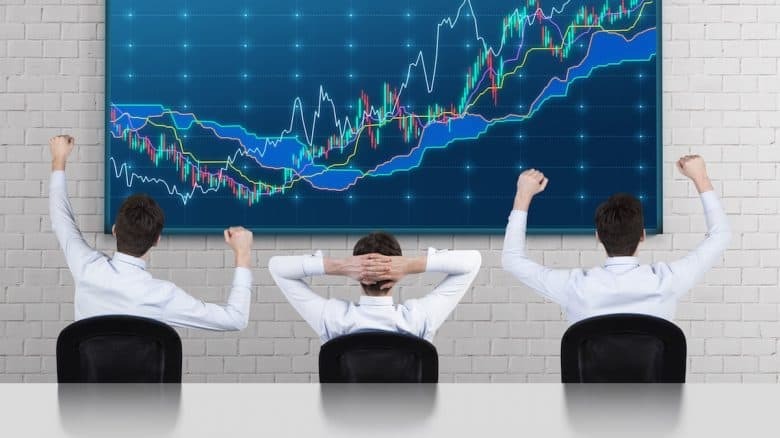 The mega successful traders today are the ones that were able to adapt and have lots of other trades in the background when they were making money initially. No trade stays the same and no trading strategy works forever. The only constant in trading is change. Funds get involved, flows come in, volume drops off or some stocks get bought up. Whatever trading strategy is working for you today, is not going to work for you indefinitely. You got to have a couple of cards up the sleeve that you’re ready to play when the time comes. Don’t be that dinosaur that can say: “Oh, yeah this trading strategy worked for me for a couple of months or a couple of years but then it stopped and I wasn’t able to get back to my money-making ways”. Be in this for the long term and have a couple of day trading strategies in the pipeline that are ready to come into play when they are most needed. 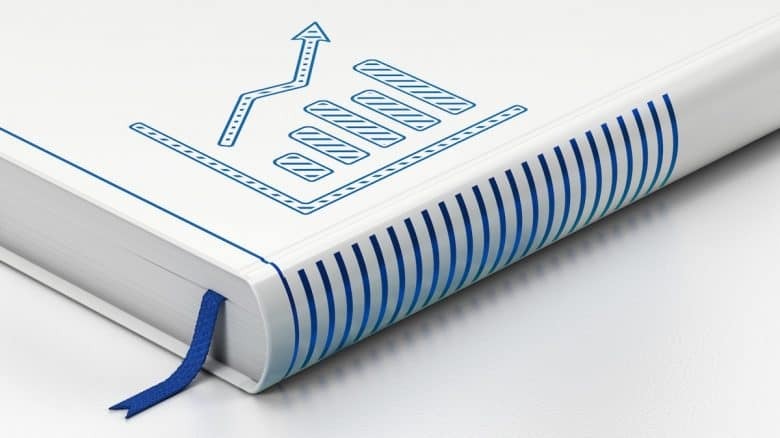 There are trading books that are essential to read for any new trader that is joining a prop firm or analyst that is joining one of the big financial firms or brokerage houses. You’re usually given a list of trading books and they ask you to treat these books like the Bible. For example you got books like Market Wizards, Reminiscences of a Stock Operator, A Random Walk Down Wall Street and some of the more entertaining reads. These entertaining trading books might be the ones by Michael Lewis like Liar’s Poker or Flash Boys. The lessons you’re going to learn from other people’s mistakes and success will stand to you. It’s going to give you a platform to refer back to when you’re struggling yourself in the future. You’ll be able to see how the big traders today started off and learn from their mistakes that they made. You’ll get insights to where they made their big money, their trading psychology and how they’re able to push on to the big size. And of course you can enjoy the amazing trades they made overnight or from an island in the Caribbean over a phone going back and forth through three connectors. Crazy stories like that can always inspire you and give you some motivation to kick on. You realize that there’s a lot of money out there to be made. These successful traders were once just like you. Market Wizards in particular is very informative for that kind of stance. Bounce is known for being very strong in the psychology. Liar’s Poker and Flash Boys are very entertaining trading books by Michael Lewis. They’re also very informative to give you a sense of just who you’re up against when you sit down and open up your trading screens in the mornings. Make your list of trading books, start to read these books and take your notes. Know the main lessons and stories that stand out to you and that you can relate to as a trader. You can then refer back to these valuable trading lessons when you need it. From the very beginning when you start trading you got to be able to set your short, medium and long term goals. You got to be reviewing your trading goals regularly and adjusting them as needed. If you’re trading very well, you might want to up your profit target for the quarter or the month. If you’re trading poorly, you might just sit down so that you don’t want to be consistently missing it. Know if you’re overperforming or underperforming. Having goals and a clear strategy is absolutely essential for long term success as a trader. Your goals might be something as simple as not having a loser bigger than 5% in a position or something like that you’ll up your position size by 50% when you have three winners in a row. You can play around with your goals. You can make them very customized and get ideas all across the internet, but it’s very important that you have them and that you’re goal orientated. Stick them up in little post-its around your screen, know exactly what your goals are and give yourself 15-20 minutes a week to review your goals. That way you can stay on track and adjust goals if necessary. Black swans refer to those events that you just cannot see coming, but that do happen. Something like the collapse of Lehman Brothers in 2008, the flash crash in May 2010, the Brexit in June 2016, Trump’s election in November 2016 or the volmageddon incident, when volatility went through the roof in February 2018. These all are events that were not expected, but that occurred. They all have some kind of a copycat in the future along with multiple individual black swans as we go forward. It’s very important that you recognize what happened. Analyze how certain stocks did react and have plans ready for the future. For example if a political event is coming, it’s good to know how the stocks did on Brexit or after Trump was elected. 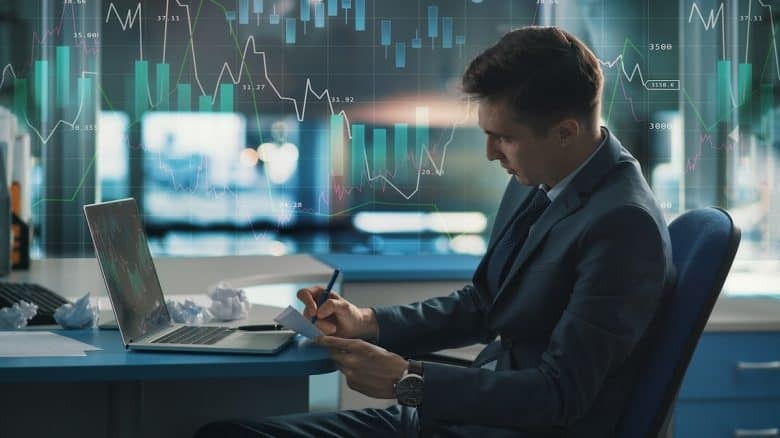 There’s a fair degree of certainty that stocks react the same way in the future and then you can make your decision to buy or sell those companies. Just think of something like oil and OPEC when huge news came out in November 2014 and oil collapsed down towards the 20’s. If that happens again, if OPEC cuts or raises supply, you can have a plan ready to buy or sell the affected companies. It’s the same with financials, you want to know how certain stocks react when there is an interest rate hike or cut, especially if it’s an unexpected decision. There are black swans for every industry out there, along with the market overall. Know what you’re going to do when black swan events happen. Don’t be a deer in the headlights on the day that it does happen, wondering why you didn’t make money when other traders did. Don’t be afraid to share your trading ideas and success with other traders and investors. There is enough market out there for everybody. There’s enough room for lots of people to get involved and to collaborate. You’re going to have ideas coming at you as well once you start sharing your own. You’ll be able to collectively get better with your friends or your colleagues. If there are people in your class or office who are interested in talking about the market, start getting some different perspectives and start getting some ideas. You don’t necessarily have to implement other people’s ideas or act on theirs. However, it’s always good to have a different perspective and different set of eyes on what you’re seeing, unless you’re for example in a very particular low volume future with only a couple of trades a day. Don’t be afraid of your edge going and be happy to share your success. You’ll be very surprised at how forthcoming people are with their own ideas if you’re open with yours. This is possibly the most important one of our day trading tips. Have fun! There’s no point doing this job and taking on the stress and pressure that comes with it if you’re not ultimately enjoy trading the financial markets. A lot of having fun as a trader is going to boil down to the previous steps that we’ve talked about. If you find it an absolute pain to plan a trade, this might not be for you. If you’re not able to analyze your own trades and be able to do the work that’s involved in the background, if you’re just chasing the buzz, this isn’t the job for you. You got to know if you’re having a bad run and if that’s being pushed on by some negative emotions. If you’re not having fun, this is more than likely going to happen. If that’s the case, professional day trading isn’t the job for you. In case you’re struggling with trading, it’s well worth taking some time to step back. You should do some self analysis and some talking with yourself away from the markets. If you’re not able to come back and research some new trades, strategies and markets, this might not be the job for you. It’s the same if you don’t want to sit down, reading the big books about trading to find out how other traders made their money and what lessons they learned. If you don’t want to set goals and know what you’re going to be aiming for in the short, medium and long term, if you don’t want to put in the work to be able to be ready for black swan events where you can really make huge money and if you’re totally against collaborating with others, this might not be the best job for you. Ok, that’s it with our day trading tips for beginners. Being able to put the work in through all these various steps and trading tips that we’ve just run through is going to help you have fun, enjoy the job and ultimately be more successful. There’s too much work, stress and risk coming at you in this job through all the work that has to go on in the background, alongside just trading, to not enjoy it as an overall activity and pursuit. If you’re not having fun as a trader, you got to do some serious in-depth analysis and ask yourself if day trading is the career path that you want to go down. However, if professional trading is for you, then go for it! Grab it by the horns and jump straight in. Plan out your trades thoroughly, do your analysis and know how you’re feeling and when emotions are affecting your trading. Be able to step away from the markets, always researching for a couple of new cards up your sleeves. Read the big trading books, know what the big lessons are and what stories stood out to you. Set your goals as a trader, have them in front of you and always be working towards them. Have your plans ready for black swan events where you can make some real cash and collaborate with other traders while having fun. Now it’s your turn! Did you like our day trading tips? Do you have some other trading advice for beginners that you would like to share? Please let us know your thoughts and feedback in the comments below. What is the best strategy for day trading? 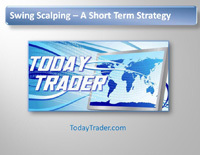 Scalping: As mentioned above, scalping is the strategy where a day trader takes profit from small price movements. 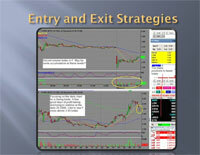 This strategy requires opening and closing positions quickly. Contrarian: This strategy believes that every run have a setback, and every drop has a bounce. So, the trader attempts to identify these trend changes. Trading the news: Investors will take news impact on instruments as a source of volatility. They will buy when a story is good for the instrument or sell when it is a piece of bad news. For more strategies, you can do your research on tips and strategies for beginners to become a day trader. Is Day Trading Legal in the US? Yes, it is. Day trading is legal in the United States. However, you only can do day trading for a third party if you are a professional licensed day trader. On the other hand, day traders are not required to be licensed if they trade their own money. So you can trade on a daily basis or intra-day basis with your own money. So, is day trading good for me? Well, you should answer that question. Are you willing to learn everything about trading and to follow all news and events which move the market you are investing? If your answer is yes, of course, go ahead and trade. However, be patient and take your time to make decisions and to build your portfolio. Just play it right. How much do you need for Day Trading? If you are a day trading with stocks, you should start with 25,000 dollars. However, the amount can vary depending on the market, style of trading and the size of positions. For instance, you can start in Forex with $500. What is the average day trader salary? Depending on the market you are trading, successful investors would make a profit ratio between 10% and 18% of monthly return. Go to a reliable broker website and open an account. It is better to start trading in a demo account before going live. Will day trading make you broke? No, day trading will not make you broke, but you can make yourself going broke. Why? Because once you know how to trade responsible, the odds of failure will be reduced dramatically. Where to start day trading? Check all fundamental news, the economic calendar schedule and technical events and levels to be watched. It is your daily framework. What day trading strategy works? There are three exciting strategies: Scalping, contrarian and trade the news. All three works, but you should understand the principles and keep the trading plan. Can day trading be a full time job? Yes, but you should be patient. Remember that Rome wasn’t built in a day. Start small and scale it correctly when your portfolio is ready. Which day trading platform is the best? 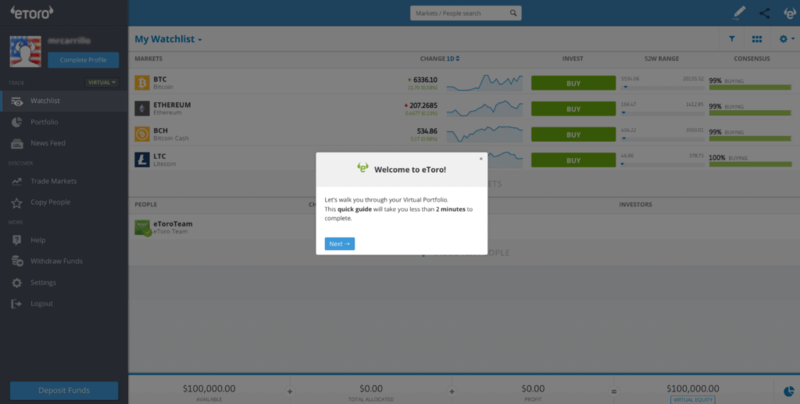 eToro offers more markets in a single intuitive and easy to use platform. Can I start day trading with 100 dollars? Yes, you can. It is not desirable, but you can do it. As trading is all about making pips, you just need to fix your position size and your risk-reward ratio and act accordingly. Also, be patient.